The Gospel of Jesus in the Language of Baseball. Our Mission: Complete Game Ministries exists to unite, encourage, and resource the baseball community while together serving in the ministry of Jesus Christ. Our Vision: Complete Game Ministries will serve as a hub of communication & resources for the baseball community worldwide while together serving in the ministry of Jesus Christ. Download the Complete Game Ministries app to stay current with all of Complete Game's podcasts, and other audio series. Read and subscribe to Bottom of the Ninth, CG's weekly e-mail devotional looking at the game through the lens of faith. Join Christians across the country in the #aroundthemound movement where believers meet for prayer after games to glorify Christ. Buy or download Well Coached, a coaching and leadership parable for anyone on the journey of coaching more like Christ. 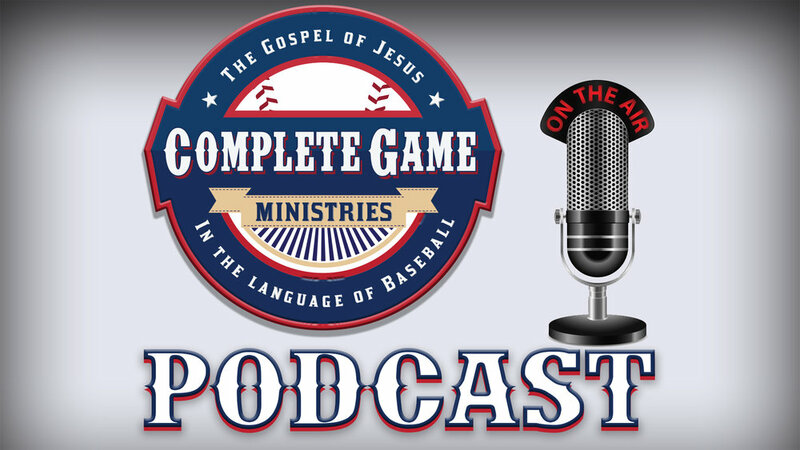 Listen to CG's podcast featuring testimonies, Bible studies, and other segments for anyone who loves God and baseball. CG is proudly sponsored by Chinook Seedery - the best seeds ever. Enter the promo code CompleteGame25 to receive a 25% discount!